Adam Young, the artist of the design for the new $50 coin from the Royal Canadian Mint. The artist Adam Young is not allowed to say how much he was paid by the Royal Canadian Mint to design its new $50 coin, but it’s probably a pretty penny. Weighing in at five ounces and retailing for $529.95, the pure-silver piece is worth its weight in something worth more than silver. The design has the vague shape of a maple leaf, with 13 layers of land representing the country’s territories and provinces. Young, born in Halifax and raised in Moncton, came to the shore of Fogo Island a decade ago with his wife, a native of the place. Joe Batt’s Arm is a picturesque fishing community and the most populated town on the island. The count is 1,028. Straddling sea and land, the structures reflect the islanders' balancing act and their relationship with their chosen habitat. “The buildings represent the people,” says Young. Not only has the coin commission made Young something of a Fogo celebrity, it has earned him notice off the island as well. An exhibition of his work will be on display in the lobby of Toronto’s Elgin Theatre for the first part of the run of the smash-hit musical Come from Away. Young plans to make his way to Toronto for the play’s Elgin opening. “I hope to take in a Maple Leaf game while I’m there,” he says. Good luck with that. 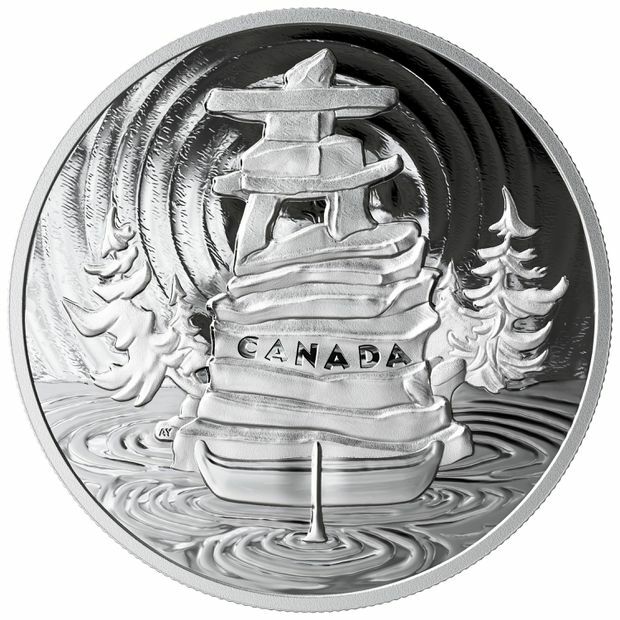 A pair of tickets to the shinny at Scotiabank Arena cost about the same as the retail value of one of those limited-edition silver coins. Perhaps Maple Leaf Sports & Entertainment Ltd. could commission Young. The flush Leaf owners have a licence to print money, isn’t that what they say?